You’ve got to admit, things have been going exceptionally well for SpaceX. In the sixteen years they’ve been in operation, they’ve managed to tick off enough space “firsts” to make even established aerospace players blush. They’re the first privately owned company to not only design and launch their own orbital-class rocket, but to send a spacecraft to the International Space Station. The first stage of their Falcon 9 rocket is the world’s only orbital booster capable of autonomous landing and reuse, and their Falcon Heavy has the highest payload capacity of any operational launch system. All of which they’ve managed to do at a significantly lower cost than their competition. So it might come as a surprise to hear that SpaceX recently lost out on a lucrative NASA launch contract to the same entrenched aerospace corporations they’ve been running circles around for the last decade. It certainly seems to have come as a surprise to SpaceX, at least. Their bid to launch NASA’s Lucy mission on the Falcon 9 was so much lower than the nearly $150 million awarded to United Launch Alliance (ULA) for a flight on their Atlas V that the company has decided to formally protest the decision. Publicly questioning a NASA contract marks another “first” for the company, and a sign that SpaceX’s confidence in their abilities has reached the point that they’re no longer content to be treated as a minor player compared to heavyweights like Boeing and Lockheed Martin. But this isn’t the first time NASA has opted to side with more established partners, even in the face of significantly lower bids by “New Space” companies. Their decision not to select Sierra Nevada Corporation’s Dream Chaser spaceplane for the Commercial Crew program in 2014, despite it being far cheaper than Boeing’s CST-100 Starliner, triggered a similar protest to the US Government Accountability Office (GAO). In the end, the GAO determined that Boeing’s experience and long history justified the higher sticker price of their spacecraft compared to the relative newcomer. NASA has yet to officially explain their decision to go with ULA over SpaceX for the Lucy mission, but in light of what we know about the contract, it seems a safe bet they’ll tell SpaceX the same thing they told Sierra Nevada in 2014. The SpaceX bid might be lower, but in the end, NASA’s is willing to pay more to know it will get done right. Which begs the question: at what point are the cost savings not compelling enough to trust an important scientific mission (or human lives) to these rapidly emerging commercial space companies? To be sure, SpaceX has been on an absolute roll. They suffered a few losses early on, which is hardly outside of the norm for a completely newly developed engine and rocket combination, but beyond that its been more or less a continuous steam of successes for the Hawthorne, California company. Even the first flight of their highly ambitious Falcon Heavy ended up being nearly flawless, despite Elon Musk himself expressing some pessimistic expectations in the days leading up to launch. Given their success rate, it’s unlikely NASA was concerned about SpaceX losing the Lucy spacecraft. After all, by the time Lucy’s October 2021 launch date rolls around, American astronauts should be riding to the International Space Station on the same Falcon 9 rocket that would be carrying it to orbit. 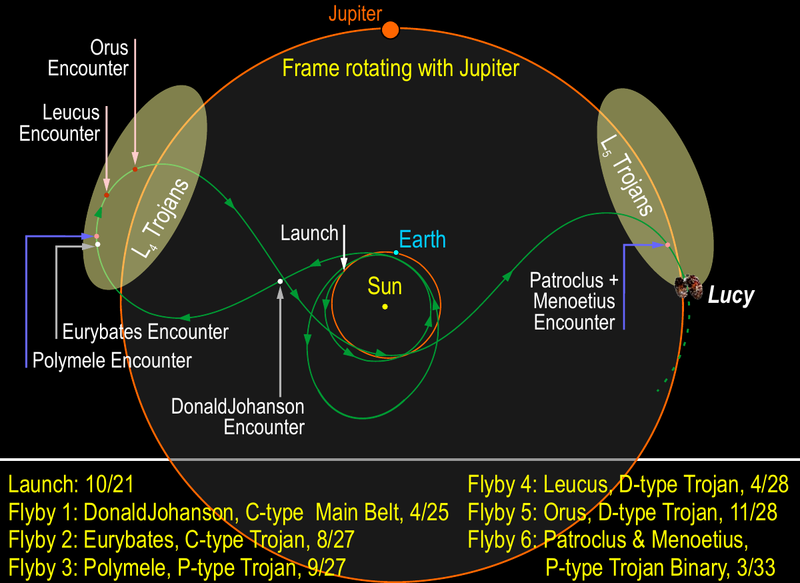 There’s also no question that the Falcon 9 is physically capable of lofting Lucy and giving it the necessary energy to send it on its tour of the Trojan Asteroids which share the Jupiter’s orbit; though SpaceX did concede that the rocket wouldn’t have enough energy in reserve to perform the now customary booster landing, and as such it would fly in an expendable configuration. The sticking point was almost certainly the extremely narrow launch window required for Lucy’s complicated flight path, which relies on precisely timed gravity assists to visit all seven asteroids the team is hoping to target during the mission. The alignment of these targets allows for a window of just 20 days in which Lucy can leave Earth and accomplish all of its goals. If it can’t lift off within that time period, the mission would have to be launched on a more powerful rocket that could give Lucy enough of a kick to make up for its late start. Wait long enough, and the opportunity to capitalize on the alignment of these asteroids will simply disappear. At that point, the mission would need to either select new targets or perhaps be scrapped altogether. 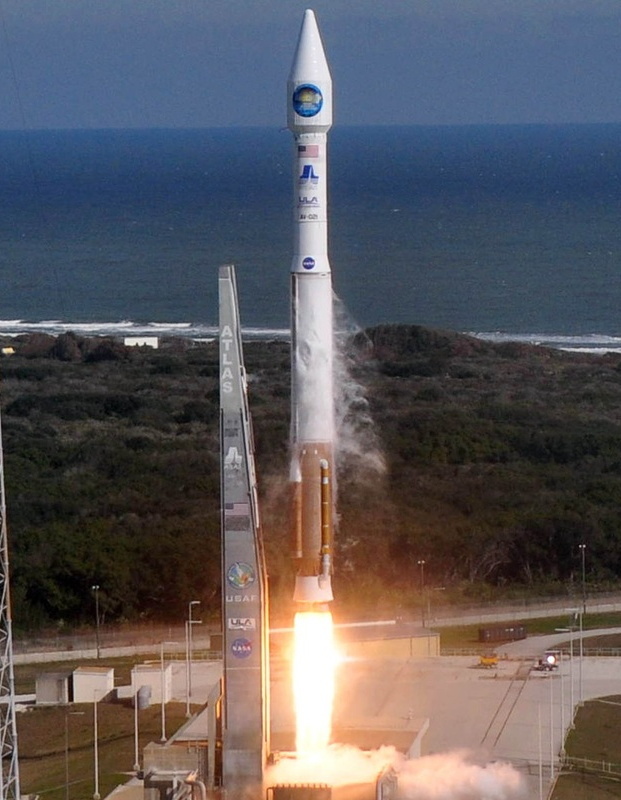 In a press release acknowledging their selection for the Lucy mission, ULA President Tory Bruno was quick to point out the stellar record of the Atlas V, and how its reliability factored into the tight perimeters of the mission. This mission has a once-in-a-lifetime planetary launch window, and Atlas V’s world-leading schedule certainty, coupled with our reliability and performance provided the optimal vehicle for this mission. Our Atlas V rocket has launched 79 times achieving 100 percent mission success, and we look forward to working again with our mission partners to explore our universe. When Elon Musk says he’s going to do something, it usually happens. But when it will become a reality is another story entirely. For Tesla and SpaceX, deadlines are best identified by the whooshing noise they make as they go by. Milestones are perpetually claimed to be six months to a year out from completion, and delays are often announced with nothing more than an off the cuff Tweet. As an example, SpaceX originally claimed the Falcon Heavy would enter active service by 2013. In reality its first flight didn’t take place until February 2018, and even then, it was only a demonstration mission without a paying customer. Among those in the industry, this tendency for the tech entrepreneur’s companies to vastly underestimate how long it will take to complete their publicized goals is referred to as “Elon Time”. One doesn’t need to look into the distant past to find an example of this tendency causing serious delays. 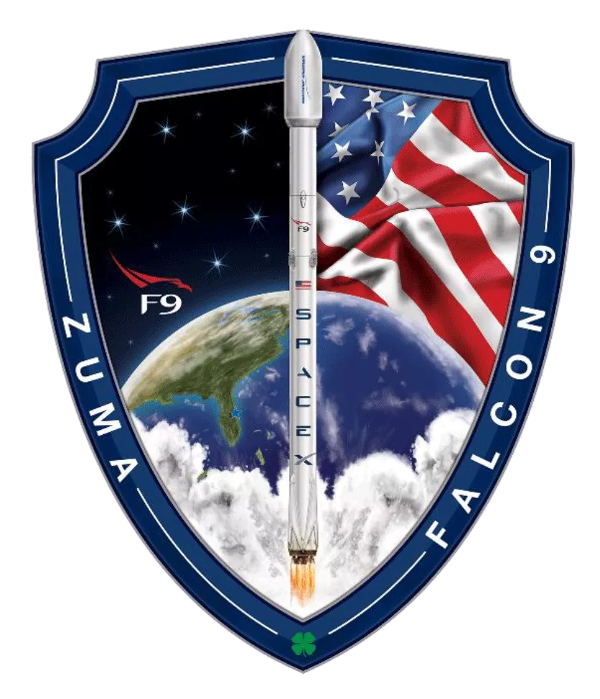 SpaceX was tasked with launching the classified “Zuma” satellite for the United States Government in November 2017, but in the end it didn’t launch until January 2018. The Zuma satellite was ready to go, but it ended up waiting on the ground because of tasks SpaceX was performing in parallel, such as modifying their launch pad for Falcon Heavy. For most payloads these unnecessary delays are a minor annoyance, and generally worth the trouble given the significant cost reduction when flying with SpaceX; but a two month delay for Lucy could irreparably jeopardize the mission. With the United States Government recently burned by SpaceX’s occasional bouts of Elon Time, compounded by the fact the company will likely be even busier in 2021, it’s not hard to see why NASA would look to a more traditional provider like ULA for a mission that quite simply can’t afford to be delayed. When the InSight Mars lander missed its launch window due to a defective instrument, it cost NASA an additional $150 million to get the project back on track. With delays that expensive, the cost savings offered by SpaceX might not look nearly as compelling. We likely won’t know what SpaceX was offering to launch Lucy for until the GAO releases their report on the bidding process, but we have enough data to make some guesses. Given the nominal $62 million cost of a Falcon 9 launch plus the additional checks and requirements for a science mission of this nature, a bid in the neighborhood of $90 million seems likely. For reference, last year SpaceX launched NASA’s Transiting Exoplanet Survey Satellite (TESS) for $87 million. Is a cost savings of $60 million worth risking the fate of a spacecraft that’s been engineered to last over a decade at a cost of hundreds of millions of dollars? According to NASA, the math just doesn’t add up. Elon time? Does anyone really hit their goals and deadlines when it comes to space? Surely not NASA! I thought that everyone just gave the times that people want to hear and rolled back as necessary because if they were honest about time it would be too far out for funding and with error margins that are too big to be meaningful anyway. Still, if they need to justify themselves. Hey, use what works. Speaking of which I wonder if they will say anything about Elon Musk’s other eccentricities. Oh well. I hope they use SpaceX for something manned soon though. The more players at this early stage the better. Let’s not let that one whither away yet! Well yes they do. The overwhelming majority of the time NASA makes their launch windows. Launch vehicle development, yes everyone is late. However with the established primes and NASA et al, you know they’ll miss development milestones about a year in advance. SpaceX strings folks along until about 3 months out from projected delivery and then goes quiet. About a month after projected delivery we start getting the story about the delay. In the end, it’s fine they deliver good product. But are they Magnum size Trojans or just the normal size? I am a SpaceX fan, but NASA must make sure there is competition or the only remaining company can charge whatever they want. I see nothing wrong with NASA keeping some competition alive as long as they do not spend too much money doing it. PS. I also understand there are a few missions which the SpaceX rockets are inferior the present competing rockets when it comes to deep space missions. Sorry, but as far as awarding a contract, cost is not the only factor. In every contract selection process I’ve ever seen, the criteria is “value for money”, and if missing a deadline that might result in the entire mission being scrapped is taken into account… I’d say that space-X definately doesn’t meet the “value for money” criteria. Nasa supports multiple players on principal. No amount of lowering of prices is beneficial if one player has a monopoly. As the military can’t very well send spy satellites to Russia for launching, a second US player is a strategic asset. Quite true. NASA and the DoD need to have multiple contractors capable of putting stuff into orbit and beyond. You do not want to be dependent on one contractor and system. You’re not wrong, but in that case why pretend to even have a bidding process? If it’s not about the lowest price, and more about who’s “turn” it is to launch a payload, just say that. If they need to throw a contract to ULA or whoever once and awhile to keep them afloat, then just have a schedule for who launches what and skip the theater. A bidding process is about value for money, not about the lowest price. The value equation starts to look pretty bleak if we talk missed launch window that results in the mission being scrapped. Sorry Spce-X, but track record counts for a lot. SpaceX’s Falcon 9 is good for getting satellites into orbit, but is very limited if you want to go further. Its upper stage uses the same RP-1 fuel as the first stage and its specific impulse suffers as a result. All other upper stages (on other launchers) use hydrogen, with a much higher specific impulse. And that’s very important for launching interplanetary probes. That’s true, but it doesn’t really have any bearing in this case. It would be advantageous for the upper stage of F9 to have higher ISP, but it didn’t keep it from winning this contract. My conspiracy theorist side says the launch was sold a long time ago and the bid written for a particular solution making all other entries a formality to look like competition. My less trusting side thinks that every launch has a potential portion that is so secret it cannot be challenged. There are just some companies that have been read in and some that smoke pot. On the other hand, it is theoretically possible that the version presented to the public is actually what is happening… but that’s just my crazy side. Careful, HackaDay. Elon Musk might sue you out of existence for speaking honestly about his products. Fanboys are a much bigger problem. God forbid you get labeled an Elon Musk hater if you don’t point out HIS name while drawing attention to the team that helped make it possible. Something about intentional exclusion or something. Like other commenters, I agree that there other reasons than stated in the article. The real story is that we do not have enough information to determine why they chose to go with ULA. Pragmatism is one theory but there are plenty more that make just as much sense. No one has brought up the alien involvement in the government! Why would the aliens not want another Space-X launch? That question and its answer are suppressed by an inter-dimensional quasi-government agency! Such as? SpaceX wouldn’t have bid (much less contested their loss) if the Falcon wasn’t physically capable of carrying out the mission. Only on HAD. The top story when I got up was Tesla cooking the data it sent to the NHTSA and not a day later wondering why NASA is not going with ol Elon’s space X. Gee I wonder why NASA distrusts him. Did you actually read the article? There’s no wondering about it, the price difference wasn’t worth the risk. It’s not what you know but who you know, just ask SNC-Lavalin! Space-x just needs to accept that they just don’t have a very long history, or experience. The money amounts that are being thrown around, are just a small part of the total being spent on these projects. The amount spent on the launch, and the payload are only part of it, usually easy enough to get a price tag, still a lot of money. We usually don’t get the final price, until after the launch, and we have to accept that money has already been spent. Not sure why exploring asteroids is of such great interest lately, or what the eventual plan for them. Sure, it’s a goal, just to see if we can do it, but very expensive, and I’d like to know that there is some potential of return, and the huge sums of money spent on doing it on taxpayer money. Since space is now open to the private sector, these missions shouldn’t be coming out of our pockets. If Elon wants to go deep space, he should find his own project, collect the funding, and do it himself. He shouldn’t depend on government contracts, but more likely to get those, when he builds a history, a positive reputation. Exactly! Its nothing more than a bunch of scientist kids using our money for data that means nothing at the end of the day. I say everything that goes up in orbit should be a U.S. vote and let them prove to use that there is good bang for buck. Why shouldn’t he get to vote? Just like every other election, the unqualified masses get to choose between a bad option and a worse one that costs the taxpayers billions. Even if the voters did understand all of the nuances, the election would be overturned by super delegates and Elon could have supper with Bernie. That’s right. I just said it’s all rigged just like everything else in big business and governments. Qualification determined on two sentences. Wow. Maybe each vote can be pre-qualified with a two sentence questionnaire. Keep dreaming Mike. I vote for a vote too. That way rockets could become a partisan debate and it will matter about as much as this article is to hacking. Fair to say we are still at the “No-one ever got fired for buying IBM” stage of the space business. Time and experience will see the leaner entries develop serious indisputable cred and the incumbents having to look at their efficiencies to survive. Good point, but back in the day IBM stuff was rock solid and they supported it. Perhaps NASA would be more open to Elon if he rode shotgun with their guys. And as it happens we are also quite late regarding the ideas of allowing a private company, any company to be sending things into space. According to RAH (Yes the man who wrote the story behind Destination Moon) we were supposed to be doing that shortly after SkyLab. There was leeway here and a binding constraint there. None of the proposals were identical, but they were all in the same ballpark. Some proposals included extra features that we hadn’t required, but they were attractive to management nonetheless. Costs varied accordingly. We didn’t pick the lowest bid, but the best one, where “best” is this kinda multi-dimensional, multi-actor compromise. And of course, that was informed by both our stated budget and by how much extra we thought we could ask for if we showed that the extra features were worth implementing. Complicated game. What Tom’s saying in the article rings true. If there were very risk-averse people in the committee, or the costs of not meeting a schedule were very high, a company with a history of not meeting deadlines would score poorly. The game is best value, not necessarily lowest cost. spaceX hasn’t done anything that someone else had done previously. of course, they have the advantage of having access to 2019 technology, when comparing to things done in the sixties, and they probably suffer less from the whims of congress and politicians in general. moreover, spaceX got LOTS of government money, so yes, its privately owned but taxpayer funded to a large extent. Yes, thats what the word “first” means. I imagine this awkwardly phrased sentence was intended to mean the opposite based on the rest of your inane rambling, but I think the fact you managed to faceplant so spectacularly on your first point is really a perfect summation of the rest of your “comment”. you must excuse me, english is not my mother language and i type too fast. so, apart my errors writing, what has spacex done that was not already done before? ok maybe i was mistaken. nobody has in fact never put in an useless orbit a car with a dummy inside. that surely qualifies as a first, even though i think this was never done before for very good reasons, and not for lack of capabilities. What would be “pragmatic” for NASA would be the admission that no one has been to the moon, nor WILL anyone go there. And, to forget about Mars.